Welcome to the Erebos Blog Tour! 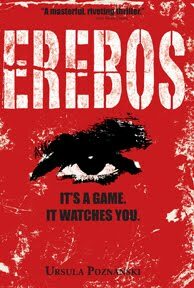 Erebos is a new YA book by Ursula Poznanski from Annick Press. About the Book: An intelligent computer game with a disturbing agenda. 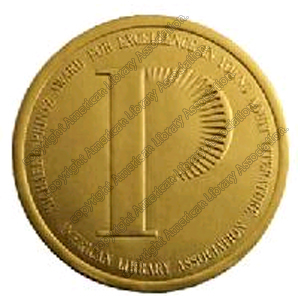 I love asking authors about libraries, and Ursula was no exception! Here's what she had to say and I just love her story!! I have been frequenting libraries fromvery early on and got my own card when I was about four years old. My love forbooks soon led to a strong career aspiration: I wanted to be a librarian. I was quite desperate when I found out that this would be impossible, for a terrible and unchangeable reason: I had the wrong name. I guess I have to explain that. See,I’m Austrian, and in Austriawe speak German (kinda). The German word for “librarian“ is "Bibliothekar." The female version – and all the librarians I knew were female – is "Bibliothekarin." My four-year-old ears never heard anything else than "Bibliothek-Karin," which would mean"Library-Karin." My parents failed to baptize me Karin, although it was a really popular name at the time. But alas, my first name was Ursula, and I was convinced that I didn't meet the basic demand for the profession of mychoice, and never would. In the end I found something else I could do with books – surprisingly most of the other professions seemed to beallowed to all kinds of different names – but it took me quite a while too vercome the disappointment. I love it! I'm glad you were able to find a career in books!! Check out the Erebos trailer and find it at your local library! I am thrilled to be participating in the Scavenger Hunt Blog Tour for Dom Testa's latest book, Galahad Legacy. While Galahad Legacy is the final book in the series, each book can be read on their own. This series is full of adventure and great for science fiction fans. Please visit Lauren's Crammed Bookshelf for the next excerpt from the second chapter of The Galahad Legacy. Intrigued?? Want to read more? I have a chance for you to win the entire series thanks to Tor! 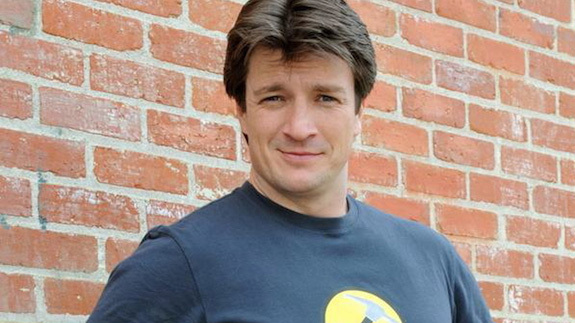 -Nathan Fillion has been cast as Hermes in Percy Jackson & the Olympians: The Sea of Monsters. This news made my nerd heart so happy! Anytime you can cast Nathan Fillion, I'm all for it! I hope the second movie stays closer to the books than the first film did though. 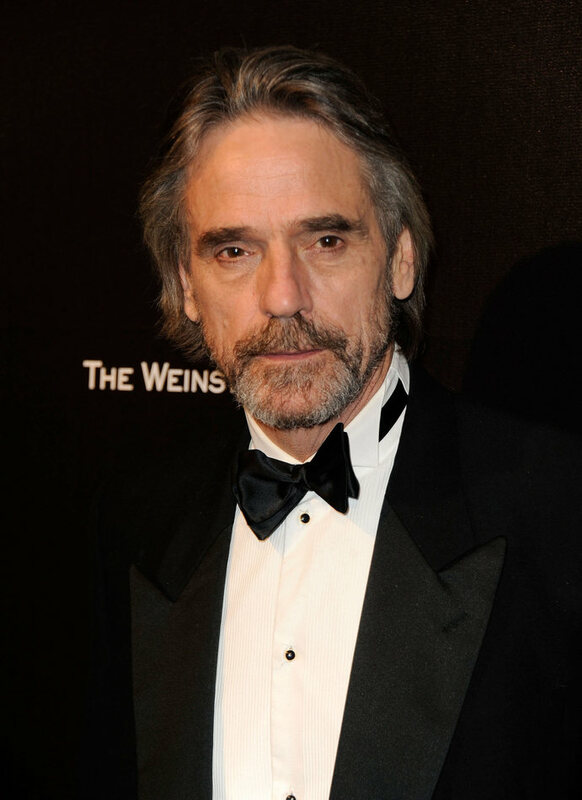 -Jeremy Irons has joined the cast of Beautiful Creatures as Uncle Macon. Anyone else think this movie cast is getting epically awesome?? -The Mortal Instruments movie seems to be heading in a good direction as Constantin Films has hired a director, Harald Zwart. According to MTV, production on the film is set to begin August 15. -The CW has added to the cast of The Selection filling out the love triangle on the show with William Singer. -The CW also added a cast member to The Carrie Diaries-adding actress Chloe Bridges as Carrie's nemesis Donna Ladonna. -Are fairy tales the next big thing? Not only is there a Beauty and the Beast TV show for The CW, but ABC has a Beauty and the Beast retelling in the works as well. Plus with shows like Once Upon a Time and Grimm and two Snow White movies out this year, fairy tales seem to be staying popular. -Entertainment Weekly has a slideshow featuring the cast of Ender's Game. -Frank Portman's novel, King Dork, is making it's way to the big screen. A new Hunger Games clip has been released-featuring the evil President Snow! If you're a huge Hunger Games fan, you'll want to know that you can log onto Yahoo! Movies on Monday March 12 at 5:30 PT to watch the red carpet premire!! 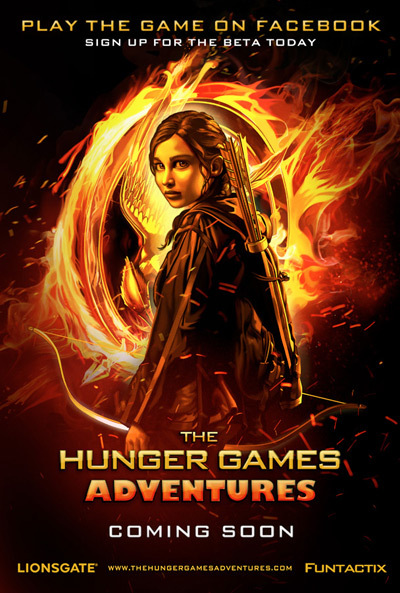 -Have you checked out the Hunger Games Official Illustrated Movie Companion? I just got it from my library and I'm loving the outfits of the capitol!! -And the Catching Fire movie is gearing up! The screenplay is finished and Suzanne Collins is looking it over. The movie is set to be in theaters November 2013. 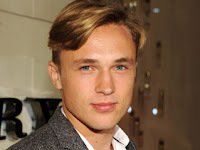 -Austin Butler is set to play the male lead, Sebastain Kydd, in The CW's The Carrie Diaries. 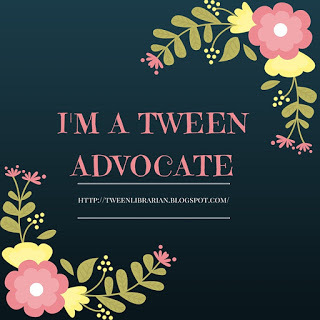 Thanks to Shelf Awareness for the news! -According to IMDB, The Twilight: Breaking Dawn Teaser Trailer is set to debut with the Hunger Games. -YA Novel Before I Die by Jenny Downham has a big screen adaptation coming-at least in the UK. The title has been changed to Now Is Good. Hopefully a US release is coming soon! -Did you see this spoof of The Hunger Games to promote the release of The Muppets DVD? I just love The Muppets!! As a librarian, of course I love libraries! But I really love hearing from other readers and authors about why libraries are important to them. Today I'm happy to introduce you all to debut author Jessica Shirvington. Jessica is the author of Embrace. As an author, Jessica is no stranger to libraries-yay! 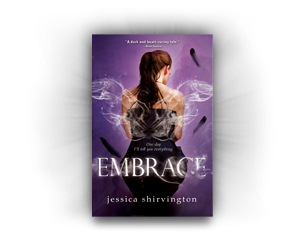 Not only do I get to host Jessica talking about libraries, but today is the release date for Embrace! Send your congrats to Jessica and keep an eye out for Embrace at your library or bookstore! Happy release day Jessica-and thanks for loving the library!! Libraries – part of my daily life. From the outset, I knew I wanted to write a book that was based on mythology and folklore, but I didn’t want to just choose any old tale and run. A lot of my research for Embrace concentrated on varying academic opinions, religious interpretation, and the broad debates on particular elements of retold history. It is here that I believe many great ideas are discovered. I was lucky enough to have extremely knowledgeable parents-in-law in many aspects of theology, so my first port of call was to them. They loaded me up with books by various scholars and theologians who explored different views on the role of angels and their capacity within the universe. It was the perfect place to start. But the thing about research is once you start, you quickly discover, it only helps to have as much knowledge on the subject as possible. Naturally, I hit the internet. It’s a great place to start looking for references, but the truth is there is just so much out there on angels (including a lot of misleading information) that the Internet can become more of a hazard than anything else. Often the best comments and opinions I have found are only small sections in much larger books covering a range of different topics. So inevitably I find myself at the library more often than not. For some reason the second I enter the front doors, I gain a little more clarity, a little more studious dedication and before I know it, somewhere between exploring the stacks of books for something that might jump out at me and scanning for the books on my prepared list of references, the day has swiftly left me behind. Sometimes I’m happy to visit my local library where I know my way around and where I like to sit (yes, I have a spot). Other times, I need more range and I find the big university libraries are the best for this – huge places to navigate, but the range is brilliant. It doesn’t matter how much is at the press of a finger on the internet, nothing compares to the vast amount of books and the simplicity in being able to pick them up, skim through them, and move on to the next. A day at the library is always a success – mind you, I often get so sidetracked that I leave with material I never went in there looking for. But that’s part of the charm as well. I know just what she means-I always end up with handfuls of books after browsing the library shelves! Check out your local library for a copy of Embrace and follow the tour on Facebook! Want to win a copy? Fill out the form below! Good luck!! Did you see the first clip from The Hunger Games?? I can't wait!! Suzanne Collins also posted a letter to fans saying she's "really happy" with the film! -My favorite news of the week: Fox 200 has hired Brian Percival of Downton Abbey director fame (and many other Masterpiece episodes!) to direct a film version of The Book Thief. I think this is perfect-anyone else?? Thanks to Shelf-Awareness for the news! -Remember how the Harry Potter DVDs went in the vault and can't be purchased? Well that's about to change with the release of the Harry Potter Wizards Collection. No news on what's inside, but it better be cool-the set costs $500! -Emmy Rossum is in final negotiations to play Ridley in Beautiful Creatures! I think this would be a great casting job and I'm getting very excited for this movie! -The CW has a pilot based on the novel The Carrie Diaries and cast AnnaSophia Robb as young Carrie. Thanks to Cynopsis for the news! -The CW also has a pilot based on the novel The Selection. They recently cast Ethan Peck as the Prince and Sean Patrick Thomas as an advisor to the Queen. Thanks to Cynopsis for the news! -Sherlock Holmes seems to be a big draw right now, and CBS is jumping on the bandwagon. They have an updated Sherlock Holmes starring Johnny Lee Miller as Sherlock and Lucy Liu as Watson-yep, a female Watson! I'm not sure if this can compete with the BBC's Sherlock, but I'm willing to give it a try. Thanks to Shelf-Awareness for the news. -In other Hunger Games news, there's a game coming to Facebook and the poster was released this week. I don't play Facebook games, but I'll play this one! -Tiger Eyes by Judy Blume is getting the big screen treatment and Entertainment Weekly has your first look. This movie was directed by Blume's son, and the two worked together to co-write a script. This is the first big screen version on any of Blume's novels. -Amy Tintera used to work in Hollywood-and now her novel will be turned into a movie by Paradigm, the company she used to work for. 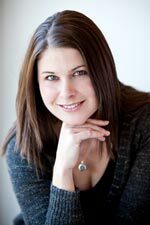 Her debut novel, Reboot, sold to HarperTeen. Keep an eye out for it!